* This post originally appeared on the Practicum: Critical Theory, Religion and Pedagogy blog. My religion courses are full of belief. 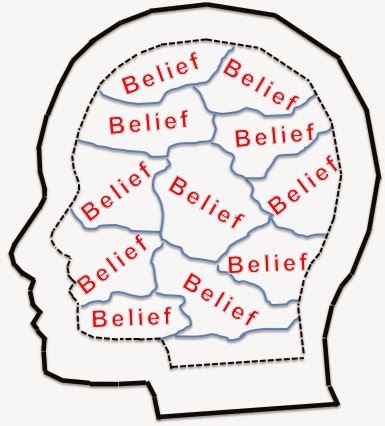 By this I mean that, for most students (and many other people, for that matter), “belief” is the primary default concept when it comes to religion. Many of us are socially habituated to assume that religion is first and foremost about belief and—even more—that what one believes is the basis for an individual’s action. And when those actions don’t follow the dictates laid out in institutional dogma and canonical text, some students are ready to make moral judgments. In my American religions course, we look at examples of Protestants who hold to ideas about reincarnation, the existence of ghosts, and that the power of positive thinking can change the physical world through mental will alone. This mixing of practices and ideas from a variety of cultural sources is not unusual, but rather something people do all the time. But it is not unusual for students to scoff, viewing descriptions of such blending as not merely ethnographic observations, but rather as evidence for the inauthenticity of the practitioners’ Protestantism. What could be a scholarly examination of religious practice becomes instead a theological act of calling out heresies and upholding orthodoxy—not about what people think and do, but about what some think people should think and do. By the end of the class period, my goal is to have students starting to think about what kinds of work defining religion in particular ways does. In the following weeks we look at terms such as “belief” and “spiritual” and ask similar questions. Why, I ask, do many of us prefer “belief” to “practice” in our everyday conversations about religion? By the end of the semester, when we revisit the topic of religion definitions (to see if our conversation has changed), belief is still the default concept to which some return. Like the arrow’s poison in the Mares of Thrace song above, the concept remains embedded. Habits are hard to break, and belief is hard to shake. This entry was posted in Pedagogy, Religion and Theory, Sean McCloud, Sexuality and Gender and tagged Belief, Catherine Albanese, Clifford Geertz, Emile Durkheim, Mares of Thrace, mystical, Practicum: Critical Theory, Religion and Pedagogy, Talal Asad, The Sacred, William James. Bookmark the permalink.